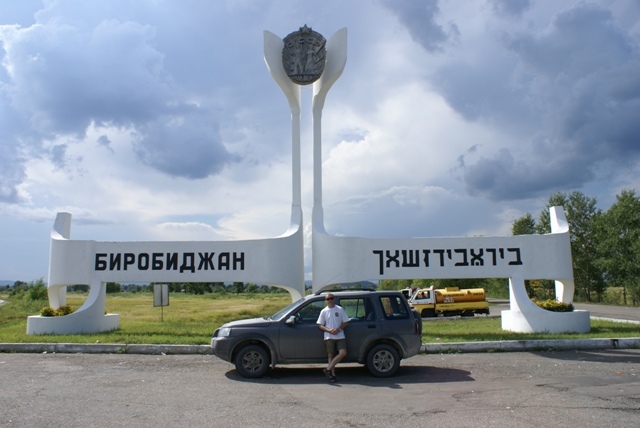 This Siberian branch of the Promised Land was established in 1927 as a homeland for Soviet Jews. Some 40,000 Jews from Ukraine, Belarus and also from the US and Argentine moved in. Currently Jews constitute about 3% of the region`s population. Thousands fled to Palestine after restoration of diplomatic ties between Russia and Israel in 1991. Today Hebrew is once again taught in schools. The recent economic boom has prompted some Jews to return from abroad. 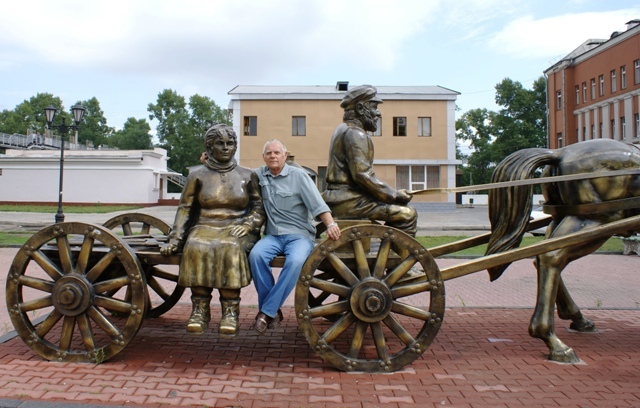 The capital Birobidzhan - Биробиджан is a small green town with shady streets and a quiet pace. A pleasant place to make a stop for two-three hours to enable a tired car traveler to take a stroll and a cup of coffee in the central square. Central square renovated in 2007 to commemorate the 80th anniversary of the Jewish Autonomy. A three-hour drive brings a car traveler from Birobidzhan to Khabarovsk which is separated from the Siberian Promised Land by the Amur River.